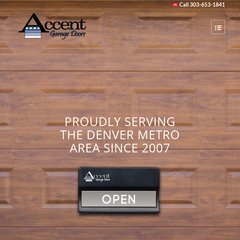 Topics: Discount, Discounts, and Garage Door Repair Denver. It has 3 DNS records, dns3.registeredsite.com, dns1.registeredsite.com, and dns2.registeredsite.com. Accentgaragedoor.net's server IP number is 64.69.220.144. It is hosted by Website Pros (Florida, Jacksonville,) using Apache web server.